In 1992, Roger Williamson, nicknamed “Catfish”, created “Cat’s Tails” Lures. 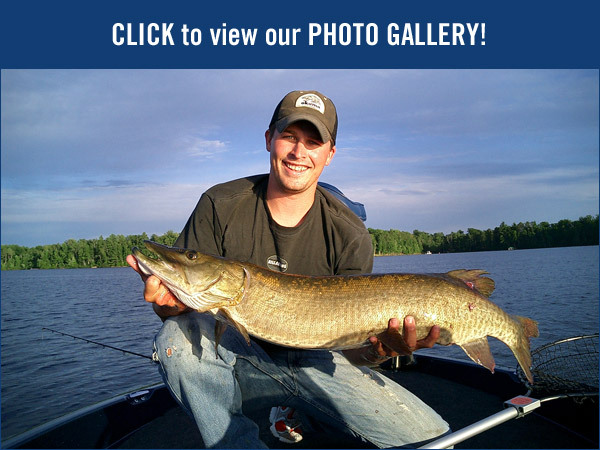 Since then, the original muskie and pike lures have been a proven fish catcher. Our musky and pike lures were the very first musky bucktail lures to incorporate a single trailer hook, pheasant feathers, and a plastic teaser tail. This idea started the “plastic revolution” in musky fishing tackle. Today there is an extensive variety of Cat’s Tails musky and northern pike lures, all of which you will find for sale on this website. So take a look around, pick a few favorite baits, and get set for the best fishing of your life! This is the muskie bucktail lure that put Cat’s Tails Lures on the map. A very versatile bait, the ”Original” Bucktail can be fished at multiple depths depending on your retrieve speed. A treble hook with single Siwash trailer hook and twin tail plastic teaser is deadly as an attractant or when fish are striking short. Add your own choice of teaser or leave the trailer naked to hook those wary fish that nip at the tail. 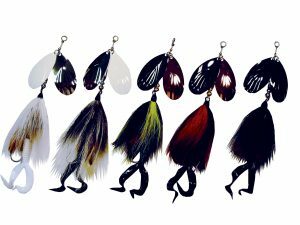 Our “Cat’s Tails” Super 8s Bucktails are out of the same mold cast as the original bucktails, with the difference being two #8 fluted blades, and 4 color patterns. Both styles of these bucktails are also made with our new special, ½ ounce keel weights, great for trolling, deep downrigging, or casting, with absolutely no tumble or line twist!! Cast or Troll the Best…Fish with Cat’s Tails Quality Musky Tackle! Vibrating Action of the Pheasant Feathers, and trailer/attractor, Drives Fish Wild! 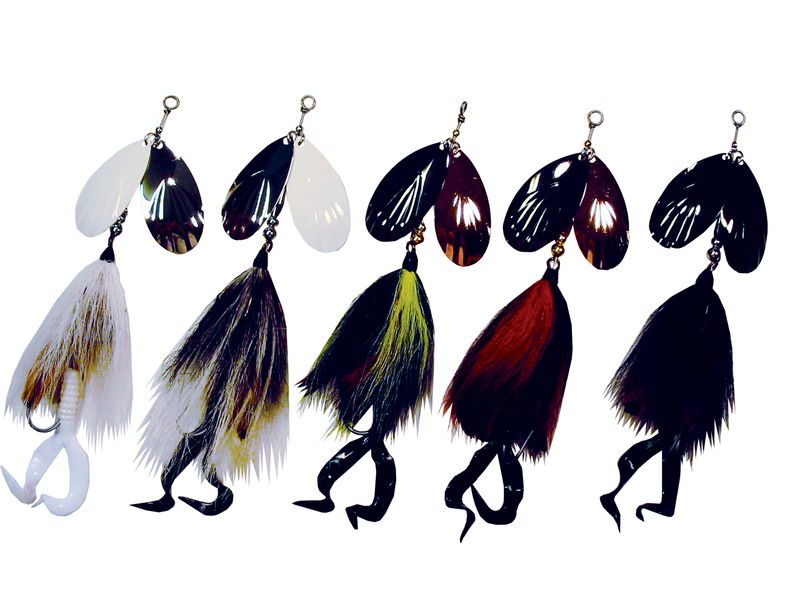 Try our Cat’s Tails Bucktails in 5 styles & 10 color patterns. Cast or Troll with the best…Fish with Cat’s Tails Tackle!